I love fried rice. It is a versatile dish that can be used as an accompaniment or even as a main. Wild rice was my choice for this dish as it provides a varied texture and has more depth in flavour, and when I cooked it I replaced a quarter of the water with some chicken broth for a little extra flavour. I put a fair amount of veg into this recipe to cut back on the carbs that usually reside in this dish. Enjoy this simple and tasty version of Wild Fried Rice! 1. In a large frying pan heat oil and add garlic, peas, carrots and celery. While the veg are sautéing scramble egg in another pan and set aside once done. 2. Once veg are tender, add in rice, soy sauce and pepper, stir well and heat through. Stir in egg. Enjoy. 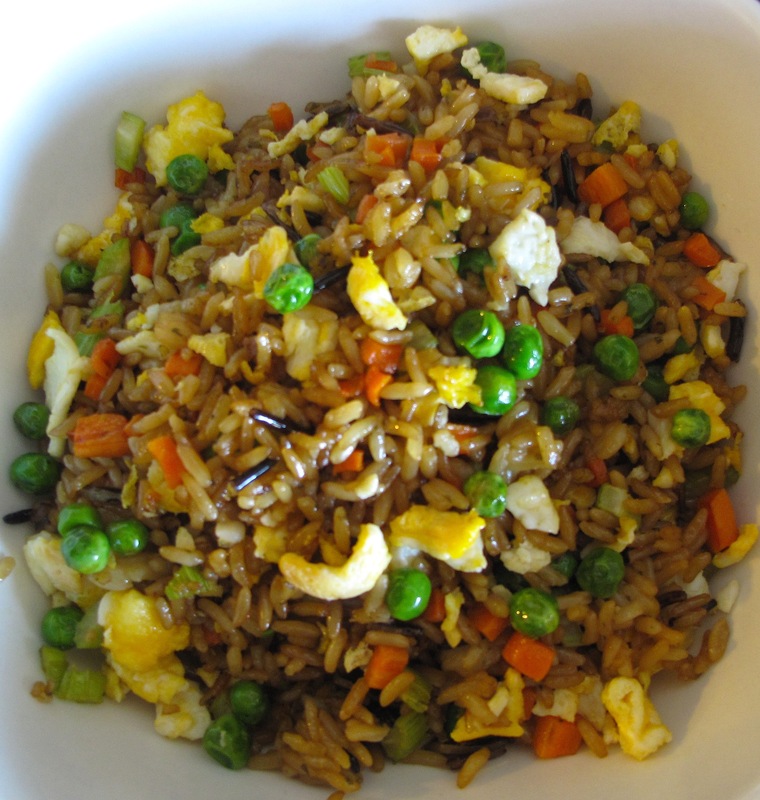 This entry was posted in Sides, Vegetables and tagged cooking, egg, food, fried rice, Recipes, vegetables, wild rice by Karina. Bookmark the permalink.